The promontory of Mont Argentario enjoys one of the most pricely coast of the Italian peninsula. Situated at the extreme south of Tuscany, it only remains attached to the mainland thanks to two sandy beaches. More insularian than continental, the Argentario forms - together with the other islands of the Tuscanian archipelago- the most extended protective maritime area of the Mediterranean sea. 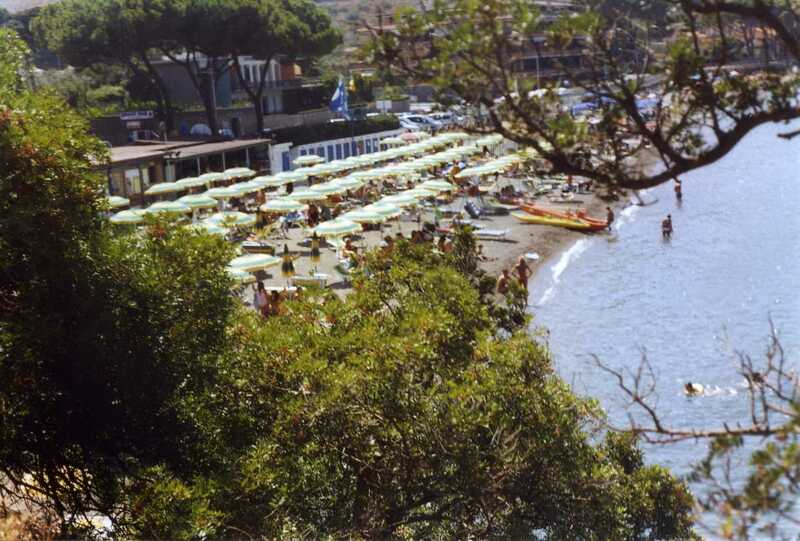 La Formica bathing establishment is ideally nestled in this fascinating landscape, at the northern extremity -and therefore the most sunny- of the beautiful Pozzarello beach. Surrounded on one side by a natural reef, it opens to the rest of the bay , offering a well preserved panorama and lots of room for relaxation. La Formica has been managed by the same family for over 30 years, which is for the customers a testimony of reliability and experience. Cortesy and hospitality are linked to a deep respect of the environment and the wish to share a vast knowledge of the area.